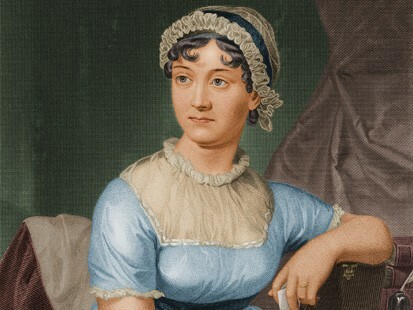 Happy Anniversary Jane Austen! Okay I’m a little late. This January marks the 200th anniversary of the publication of Jane Austen’s books. I doubt I will find anyone that will argue with me about the impact Jane Austen has had on the literary world, but even more importantly is the impact she had on society. People continue to underestimate how revolutionary it was for Jane Austen to not only be the intelligent and witty writer that she was but to have the published success that she did for the time (though that success was still quite small). Austen’s works critiqued the novels of sensibility that were popular in the late 18th century. Although her plots were fundamentally comic they served to highlight the dependence of women on marriage to secure social standing and any kind of economic security. Her published works were successful and yet they brought her little personal success and garnered only a few positive reviews in her lifetime. Since I feel like most people know a lot about Jane Austen in general (and if you don’t you totally should), I shall present some fun facts about her that I think highlight how awesome she was. Her letters help highlight how wicked and wonderful and multi-dimensional she really was, and if you don’t believe how wicked they were her sister Cassandra burned the majority of the letters. The ones that survived often show a flirtatious, intelligent, sincere, and sometimes bitchy Jane. I can only imagine what was in the burned ones. But more importantly and the part that makes her so revolutionary is that she wrote in the 18th and 19th century. She had a voice that didn’t belong to her father, brother, or husband–only her. The majority of novel readers at the time were women, and first time a woman was writing for them. I’m a huge Jane Austen fan. I’ve always found her works hilarious and fun, and I suggest people celebrate her anniversary by picking up one of her books.